Gets a 7-inch touchscreen infotainment system with navigation. 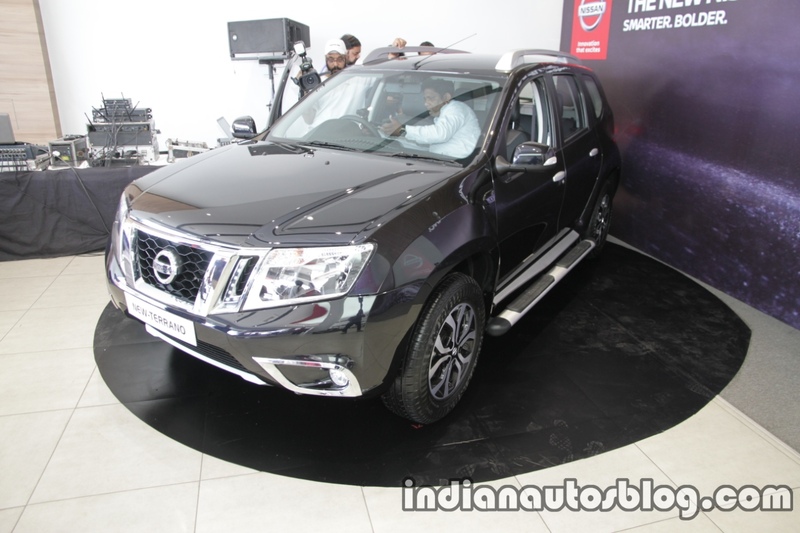 Nissan has launched the 2017 Nissan Terrano with 22 new features in Delhi today. The updated Terrano is priced between INR 9.99 Lakhs - INR 14.2 Lakhs (ex-showroom Delhi). 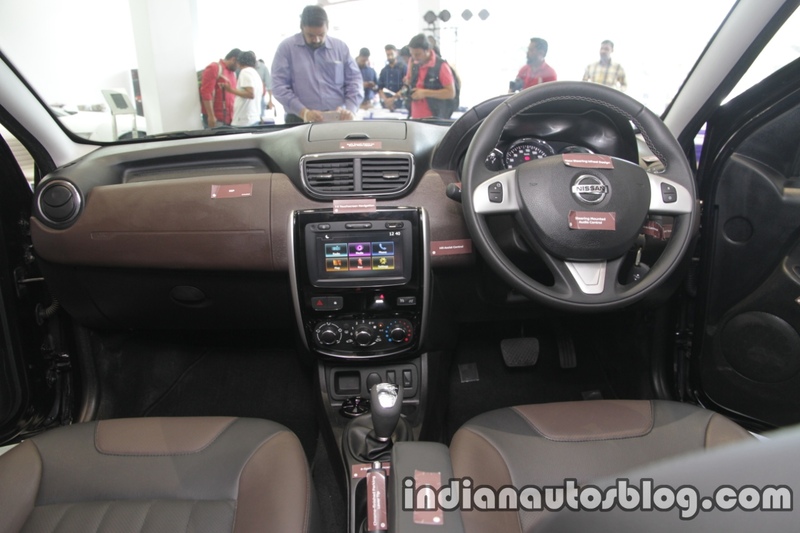 This is the first major update for the Terrano since its introduction in 2013. The exterior doesn't receive any cosmetic restyling but gets the option of a new Sandstone Brown exterior paint colour, L-shaped LED DRLs, ORVM-mounted turn indicators, chrome garnish around the fog lamps and grille. The Terrano comes with a black and brown dual-tone interior colour scheme with new fabric/leather upholstery, new steering wheel design with mounted buttons, driver armrest, and illuminated toggles for the power windows. Also new to the Terrano are a 7-inch touchscreen infotainment system with navigation and voice recognition, cruise control, ESP and one touch lane change indicator. No changes have been made to the engine lineup. The new Terrano can be had with a 1.6-litre petrol engine that produces 104 PS and 145 Nm of torque or a 1.5-litre diesel engine that develops 85 PS and 200 Nm of torque/110 PS and 248 Nm (AMT: 245 Nm) of torque. Transmission choices include 5-speed manual, 6-speed manual (diesel 110 PS only) and 6-speed automated manual (diesel 110 PS only).